1. Nurture yourself by eating right, exercising regularly and taking time out to relax. 2. See your mistakes as gifts. They're valuable learning experiences because we learn the most from the things we do wrong. 3. Self-forgiveness: that always say "I forgive myself for..." learn from your mistakes. And try to avoid such behavior in the future. 4. Celebrate your accomplishments and achievements with neglecting if it is small or big. 5. Following your Feeling: This can be slightly hard if you have been taught to explain every decision. Life is dynamic and living authentically requires more flexibility. 6. New things to try in order to discover more about yourself. - Achieve inner peace: Peace of mind by eliminating negative thoughts, stress, unhappiness and lack of satisfaction and removes fears, worries, and anxieties. - Make the right decisions. - It's easy to believe the negative voices inside and outside your head surely that will put you down avoided, please. 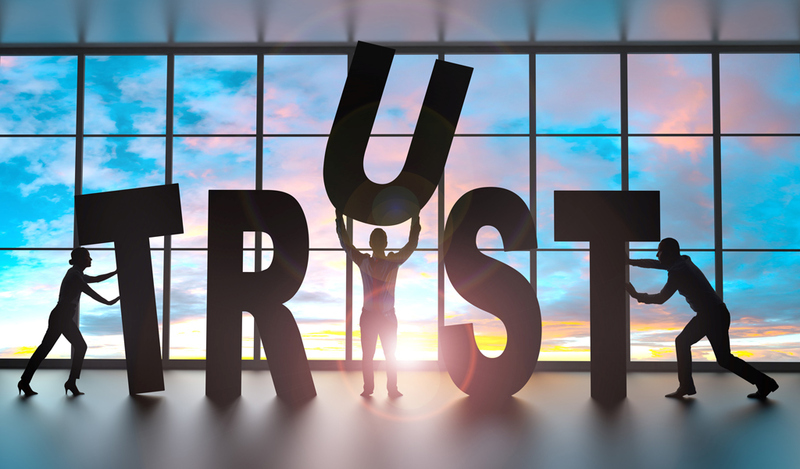 As our journey in this life, many influences affected our self-trust such as upbringing, society, beliefs, past experience of failures and successes, relations with others and how dealing and communicating within it, as well the media and its impact. Always keep in your mind that our past should not control our present and future. Only required to focus on the moment now and also, be sure that no one including yourself has any idea of your capabilities or talents of what you might achieve. Maybe the hardest thing to do in life is to accept and believe in yourself, and that to reflect this awareness into your behavior, personality, and your real image.